NAV, Sunroof, Heated Leather Seats, Satellite Radio, Back-Up Camera, Remote Engine Start, iPod/MP3 Input, MKC TECHNOLOGY PACKAGE, ENGINE: TURBOCHARGED 2.0L I-4, EQUIPMENT GROUP 300A, EBONY, PREM HEATED & COOLED LEATHER-T... INGOT SILVER METALLIC, Turbo, Panoramic Roof, EBONY, PREM HEATED & COOLED LEATHER-TRIMMED BUCKET SEATS, Alloy Wheels. FUEL EFFICIENT 27 MPG Hwy/20 MPG City! Ingot Silver Metallic exterior and Ebony interior, Reserve trim. Warranty 6 yrs/70k Miles - Drivetrain Warranty; CLICK ME! NAVIGATION, Panoramic Roof, Sunroof, Back-Up Camera, Satellite Radio, iPod/MP3 Input, Remote Engine Start, CD Player, Power Liftgate, Aluminum Wheels, Dual Zone A/C, Brake Actuated Limited Slip Differential, Smart Device Integration, WiFi Hotspot, Blind Spot Monitor Rear Spoiler, MP3 Player, Onboard Communications System, Remote Trunk Release, Keyless Entry. MKC TECHNOLOGY PACKAGE Adaptive Cruise Control, Electrochromic Rearview Mirror w/CADS Support, Active Park Assist, Forward Sensing System, Pre-Collision Warning w/Pedestrian Detection, autonomous emergency braking, dynamic brake support and forward collision warning, Lane Keeping System, driver alert system, lane keeping aid and lane keeping alert, ENGINE: TURBOCHARGED 2.0L I-4 (STD), INGOT SILVER METALLIC, EBONY, PREM HEATED & COOLED LEATHER-TRIMMED BUCKET SEATS semi-micro perforated seats, 12-way power driver seat w/4-way power lumbar and memory, 12-way power passenger seat w/4-way power lumbar and power recline and 4-way adjustable head restraints, EQUIPMENT GROUP 300A. 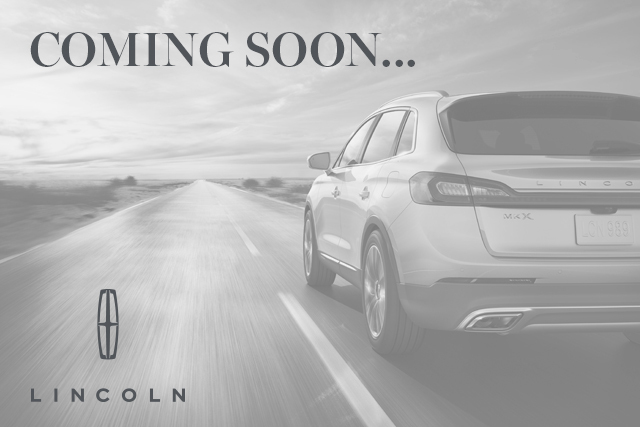 Lincoln Reserve with Ingot Silver Metallic exterior and Ebony interior features a 4 Cylinder Engine with 245 HP at 5500 RPM*.